In Malaysia, the first use of a trade mark is an important consideration when deciding who has priority of ownership or first claim to a trade mark. Unlike some countries like China which recognises first to file system, Malaysia acknowledges the right of the first user of a mark. What is first use? First use can be understood as the use of a trade mark prior to anyone else regardless of the extent of such use. Bear in mind that trade mark is territorial in nature, thus such use must be within Malaysia itself. An advantage of a ‘first-to-use’ system is that it can deter the issue of trade mark squatting. Who is then a trade mark squatter? A trade mark squatter is a proprietor who registers someone else’s unregistered mark with the mala fide intention to profit from such registration. More often than not, they are individuals with no intention to carry out any genuine business activities. After registering the mark, they will offer to sell the registered trade mark to the first user of the trade mark at an inflated price or threaten to sue the first user for trade mark infringement if the first user refuses to pay. The issue of trade mark squatting can be exasperating especially in a country which practices the first-to-file system. Malaysian cases and Trade Marks Act 1976 (“the Act”) provide many examples of protecting the first user. In this regard, the Malaysia’s common law protection of trade mark (under the tort of passing-off) is clear. The High Court in the case of Syarikat Zamani Hj Tamin Sdn Bhd & Anor v Yong Sze Fun & Anor [2012 1 MLJ 585] decided that the first user of a mark in Malaysia would prevail over a subsequent user or otherwise it would result in an anomaly in the law in the sense that the first and original user of a mark is defeated by a subsequent user. In this case, the plaintiffs and/or their predecessors in title were the first in time to use the “TAMIN” trade mark in Malaysia. The use of “TAMIN” by the plaintiffs and/or the predecessors in title commenced in 1951 whereas the defendants commenced use of the “TAMIN” trade mark at the very earliest in the 1990s. 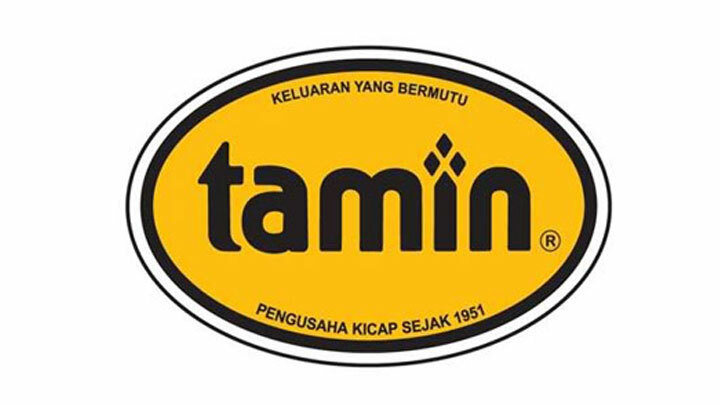 This use is well after the introduction of the “TAMIN” trade mark by the plaintiffs. The High Court’s decision was upheld on appeal. The law further provides that a subsequent user of a trade mark cannot rely on the defence that he has no knowledge of any other earlier proprietor (whether unregistered or registered) who uses the similar mark. This is because the state of mind of the subsequent user is wholly irrelevant to the existence of a cause of action in passing off action. The court will always look at who is the first user of the trade mark in question. Pursuant to Section 25 of the Act, any person claiming to be the proprietor of a trade mark used or proposed to be used by him may make application to the Registrar for the registration of that mark. In theory, it allows any person to file an application to register a trade mark. In the event it is a scenario of a trade mark squatter that succeeds in registering the same, the true proprietor i.e. the first user (especially for small and medium enterprises) may be put in a dilemma to decide whether to pay a ‘ransom’ in order to acquire its own mark or fight it out in court which in either case, will incur substantial costs. To provide some check and balance against the above scenario happening, the Malaysian Registry has a practice that requires all trade mark applicants to submit a Statutory Declaration to affirm that they are the bona fide proprietor of the trade mark to be registered before a Commissioner for Oaths. Any person giving false declaration is punishable under the Penal Code (criminal offence) pursuant to Section 3 of the Statutory Declarations Act 1960. There is relief and protection for the owner of an unregistered mark as provided by Section 40(1)(c) of the Act. This section is a statutory defence which states that the use by a person of a trade mark in respect of which he has by himself or his predecessors in business, continuously used the trade mark from a date before the use of the registered trade mark by its proprietor, predecessors or registered user; or the registration date of the trade mark, whichever is earlier shall not constitute an act of infringement. Such use must mean use in good faith without any mala fide intention; unlike trade mark squatting. For registered marks that are not in use, any aggrieved person may apply to the court pursuant to Section 46 of the Act to remove the trade mark from the Register on the ground that the trade mark was registered without a genuine intention to use it and there has in fact been no such use or there has been no bona fide use of the mark for at least three years prior to one month before the application. Alternatively, if the aggrieved person is able to prove that any trade mark entry in the Register was made without sufficient cause or wrongfully remaining in the Register (i.e. he is a subsequent user) or in error, he may apply to the court to have the registration expunged pursuant to Section 45(1)(a) of the Act. In conclusion, protection via registration of a trade mark is crucial in order to protect your intellectual property right. Registration is the way to go but the Malaysian trade mark system does take into account of common law rights that accrue from use of an unregistered mark.